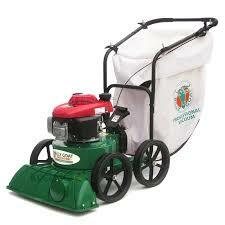 The Billy Goat 18″ Hydro-Drive Sod Cutter is the easiest to operate and most comfortable to use sod cutter on the market. With variable ground speeds – forward and reverse – and intuitive controls this versatile machine is the perfect workhorse for the weekend warrior to the seasoned pro. Best in class “Set and Forget™” blade depth adjustment is set with a single lever and clamp at the user’s operating position. 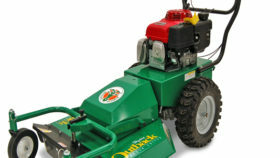 It saves time and provides precise cutting depths up to 2.5 inches for tasks including relocating sod, enlarging flower beds, creating new planting areas, as well as concrete flat work or other hardscape projects. The standard, rear swivel caster is perfect for curved work and locks for straight cutting. Operators will also appreciate the multiple, oversized handle isolation mounts that absorb vibration and offer fatigue-free operation for small to large projects alike. The variable speed hydrostatic drive transmission allows operatiors to tailor cutting speed according to the ground condition, thereby preserving sod quality while maximizing productivity. Another benefit of the drive is the fastest transport speed of any unit on the market; over 3.5 mph. And drive controls are comfortably under-mounted at your fingertips versus paddle or throttle styles. 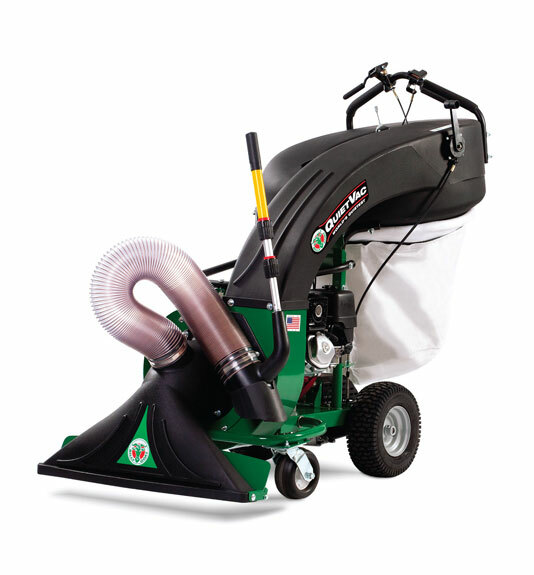 An adjustable reverse speed allows maneuvering out of tight areas easily and quickly, without tearing sod – or your rotator cuff! 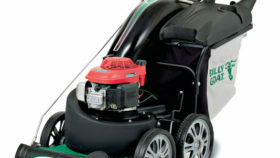 Coupled to 5.5 HP Honda power with a 3-year warranty, Billy Goat’s 18″ Hydro Sod Cutter operates and handles like a dream, meeting every user’s unique project with reliability, simplicity and precise cut performance.